Since its inception in 1971, the IUCN-SSC Crocodile Specialist Group has been involved with some of the most successful wildlife conservation programs in the world. In 1971, populations of almost all 23 species of crocodilian were severely depleted and considered to be endangered or threatened by extinction. By 1996, after 25 years of effort, more than two-thirds of the species (16) were no longer in danger of extinction. No other group of vertebrate animals has undergone such a dramatic improvement in conservation status. 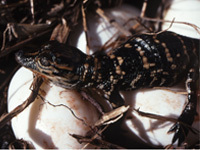 Despite these successes, conservation challenges remain for 7 species of crocodilian, which continue to be endangered. Major conservation initiatives and Action Plans have been developed for all species of crocodilians, including those in most need. 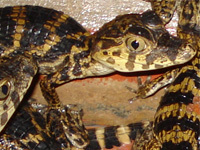 Reviews of national crocodilian conservation and management programs. Support of student research projects: the Student Research Assistance Scheme (SRAS) was developed with the specific goal of encouraging and assisting undergraduate and post-graduate students to undertake formal research on crocodilians, particularly field research. 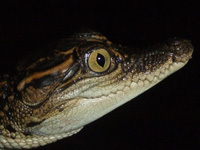 Support of crocodilian conservation projects. Liaison and collaboration with Governments and other organisations (eg CITES). Production of a quarterly Newsletter. Development and updating of Species Action Plans. Providing a regional and international network for some 450 members from all over the world. Make a monetary contribution or pledge annual financial support. Support production of CSG publications (eg Working Meeting Proceedings, Newsletter subscription). Volunteer to participate in CSG activities, including meetings and workshops, and/or be directly involved in field research and conservation programs. Donate equipment that can be used in conservation programs in developing countries. Your support, no matter how small, can make a difference! Contact the CSG Executive Officer Tom Dacey for any further information (PO Box 530, Karama, NT 0813, Australia), or simply send a donation.